G ideas started in 2011, offering freelance design service to various well established showrooms and a tailor made design for the private customer. *Sourcing of your chosen materials from our direct suppliers. Upon request we supply our own team of fitters, builders, electricians and plumbers should you need building works or alterations. All cabinets are made to last, from German components and the latest of mechanical engineering i.e soft close hinges/runners. 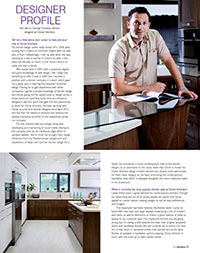 George has featured several times in the Irish Kitchens magazine. See a copy of our publications here. ...George came up with a plan we were delighted with. There was no need to shop around or check out other styles. George had a good handle on what we wanted to achieve and he came up with a layout and colour scheme we loved. We couldn t be happier with our new kitchen. 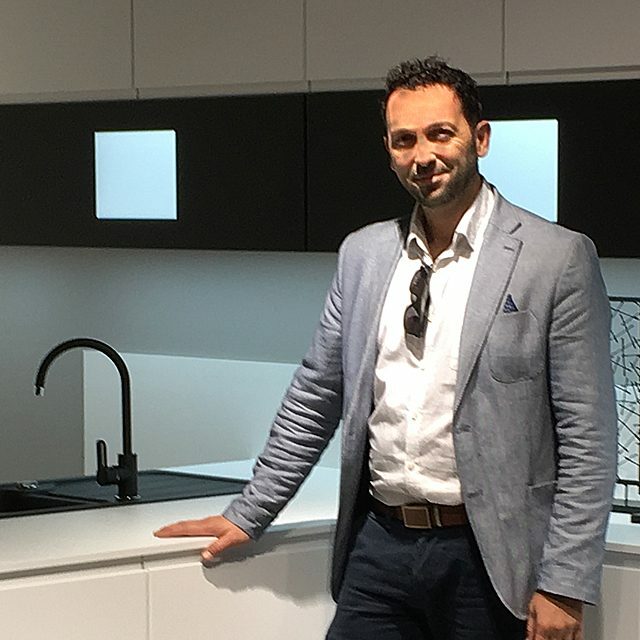 Hi there, I'm George and I have been designing kitchens since 2004. I started Gideas in 2011 offering freelance design service to various well established showrooms and a tailor made design for the private customer. Price is important and I realize everything needs to fit into a budget. I promise that! G ideas will work closely with you the private client to offer a personalized service, designs tailored to your needs and installation service of your desired kitchen, bedroom etc.